Brand Pages were first released on Amazon Marketing Services (AMS) in 2012 with very little buzz if any. Product listings were presented on just 1 template and 1 landing page. As a result, it never elicited the widespread traction Amazon had hoped it would. Fast forward 5 years later and Amazon services unveil a real upgrade that has everyone talking. Never again would brands be bound to the simple limitations of an AMS brand page to display themselves on Amazon. Why is that? Because this free DIY solution available to Amazon Sellers permits brand owners to create multiple pages to tell their brand story. To put it simply; it is an easy free and efficient way of establishing an authentic brand identity. It is a free premium content offered to Vendors to singularly showcase a curated collection of products. You get the option to have an online store dedicated just to your Amazon listings; ergo further brand differentiation and increased brand recognition. You can showcase your product listings as you wish, tell your brand story and still use it as a landing page for headline search ads (now known as Sponsored Brands). You don’t need design experience. The dynamic easy-to-use widgets let you populate different product displays. It is so intuitive, that it even automatically updates your store when you have new listings. In addition, the responsive layout means any device can access and display the store pages correctly. Consequently, brands can now have a more cohesive identity across platforms and users can enjoy an elevated dedicated shopping experience. Of course, we are assuming that you are already an Amazon Seller and own a small and medium-sized business. But on the off chance that you are not and are looking into this, then to access an Amazon store, you would need to open an Amazon seller account. This can either be as an individual or as a business. You should be an Amazon Advantage customer (formerly AMS) and should have at least registered one product on Brand Registry. However please note that each brand or product is entitled to its own separate store. If you are already using Enhanced brand content, then the storefront template works similarly. Go to manage stores and select your brand name. 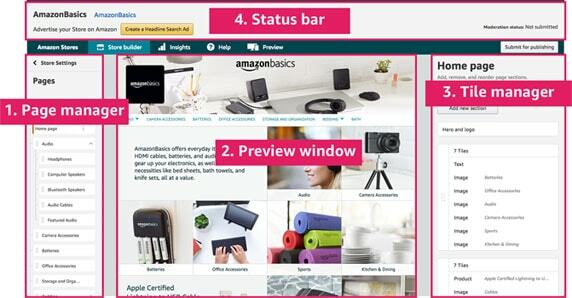 Use the store builder tool to set up and fully customize your Amazon storefront. Search engines will use this. You have 3 preset templates that provide the key structure for your store. 1. Marquee - A Gridiron format. Gives you extra room for content. 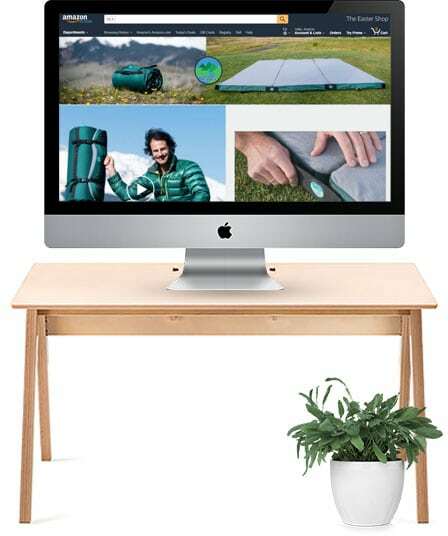 You can promote a collection of product lines, display large images and tell stories about your product. 2. Highlight aka Showcase - A content-rich template. You get plenty of room for media or visual elements along with the text. Showcase your top sellers here along with a video or large image. 3. Product Grid - Of all, this is the simplest and most direct. So you can showcase many products in your catalog. 1. Pick the template you prefer. 2. Next, select the tiles that you like. 3. Start designing your storefront. Drag and drop content tiles to the storefront, arrange and organize or delete accordingly. Examples of content tiles available on stores are; recommended products, best sellers, gallery, image, text etc. You then populate these with product content, text images, and videos. You keep creating more pages and adding more tiles. This is what you have been using to create, select, move and delete pages on the store. It also displays the hierarchy of pages in your store. Lists all the content tiles on the current page. Use this to add, edit, move and delete tiles. Displays any error messages and provides the current moderation status. i.e. whether your current Amazon store draft is not submitted, in progress, approved or failed. That you have used high-res images which stand a higher chance of being approved. Spelling and punctuation of each individual page. Ensure your content is in line with Amazon’s guidelines. After all, this is Amazon. If you don’t follow the rules to letter, your page will not be approved. Counter check on mobile preview that your store is optimized for mobile users. Check that the text in your images and videos is easily viewed especially on mobile. Included information such as ‘Top seller’ or “#1 selling product”. Please do not use unproven claims such as “America's best-selling cup”. Confirm that you own the rights to all the videos and images you have used. If there is any promotion, make sure it’s included. You may now click the “Submit for publishing” button. Moderation and approval will take at least 72hrs. The published live store page will consist of the hero image, navigation bar & logo, content tiles and footer. What are the benefits of an Amazon storefront? You are able to replicate the physical store experience in the otherwise impersonal e-commerce domain. Your brand stands out in the Amazon marketplace that is getting more and more crowded. You can control which products appear in the search results and the order in which they appear. Brand protection from duplicated, unauthorized, illegitimate, low-quality listings by other sellers. Helps your customers understand your brand better and know which product best suits them. Increased brand appeal - this is like a having your own e-commerce website inside Amazon. Increase sales because you offer customized content to potential consumers while you introduce prospects to your brand. You can promote new products to your existing customers while you educate your prospects. Remember 80% of Amazon customers discover new products through Amazon. Social sharing buttons let shoppers share your store on their social networks, driving more traffic to your store. No coding skills? Not a problem! How can I get the most out of my storefront? Remember, people buy based on how they feel and not really on logic. What do they feel about your brand or product? The first 90s are crucial. Most consumers decide whether or not they like a product or brand in those seconds. So how do you skillfully use the Amazon Storefront design to your advantage? Make good use of colors and all the interactive elements available. We are talking about your Hero image, product pictures, product copy, and videos. This combined with a consistent theme across your channels will surely lead to shopper conversion. Use high-quality videos and imagery and add product demos. Fully customize your store space to meet the unique needs of your customers by utilizing keyword searches, best-selling items, and recommendation history. Capitalize on the built-in social elements; e.g. share buttons, promo ads & headline search ads to increase awareness of your product among relevant shoppers. What are the available Metrics on Amazon Storefront? At this point, you know that Insights shows you the impact traffic sources have on your store page views. And that it attributes sales based on the page views. You may now wonder what are those Insights? Daily visitors - all the unique devices or users that viewed any of your pages each day. Views - How many pages were viewed during their visit? Were there repeat views? All this is included in the data. Sales - How many pages were viewed during their visit? Were there repeat views? All this is included in the data. Units Sold - An approximation of the total units bought by store visitors generated within 14 days of their last visit. Visitors /views - Average number of unique pages viewed by each visitor. What traffic sources are available? Amazon organic traffic - Includes data from search results and brand detail page links. All within Amazon. Tagged sources - Helps you track the performance of particular traffic sources. Other - All other traffic sources that are not categorized yet. 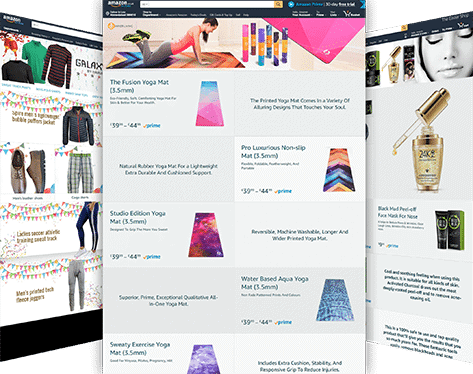 Amazon Stores is clearly no longer a trending function and is increasingly becoming a critical brand characteristic to succeed on this e-commerce website. May your store succeed in doing just that! With all the ease and advantages Amazon seller storefront has to offer, there is really no good reason not to have an amazing store! Please consult our team of Amazon experts to develop or revamp your store while conforming to your brand specifications. How can I increase sales with Amazon Insights? Amazon Storefront Insights (ASI) provides you with a powerful understanding of your traffic sources and sales. This means that you can finally optimize your content and campaigns with data from ASI. At last, you can now track traffic and quantify how effective a strategy is. So how can you leverage on this and drive traffic to your Amazon seller storefront? Get valuable facts such as what your first customers think about your new offerings. Obtain insights on the products customers want to see in a new category that you are starting to sell in. Get to know what items customers buy alongside other products in your product bundles. Get marketing insights on what pushes people to or away from your store. Why do they prefer your competition? Learn what products customers want during sale periods and at different points in the year. Use Headline Search Ads to drive traffic to your Amazon branded page (stores), best-selling items and your custom URL. Connect your store in the brand byline on your detail pages. Match keyword intent with the targeted landing page. E.g. someone is searching for “JD ski gear”. They want JD branded gear, but they don't exactly know the type. A more specific search, however, such as “JD ski boots” should send them to a URL that only shows “bestselling JD ski boots”. Shoppers just want a delightful, seamless shopping experience with a trustworthy brand. Connect With Us to discuss every bit on our Amazon Storefront Services, and how we can help you with your product!